Jade Ariana Fair, a local multidisciplinary artist, shares old and new work in i just want to be in the Black euphoria with you. The exhibition opened on July 7 at E.M. Wolfman Bookstore’s gallery space and it navigates the want for familial inclusion and spiritual transcendence from white supremacy. Fair (pictured) reorients and distorts reproductions of family photos from her personal archive into a floating landscape, creating a domain of imagined freedom for her family using their shared nostalgia. Viewers are prompted to consider the following: Those who long for the Black euphoria know it cannot exist in the fullest of its expression and assume its own birthright in the archive of Black living and Black dying. 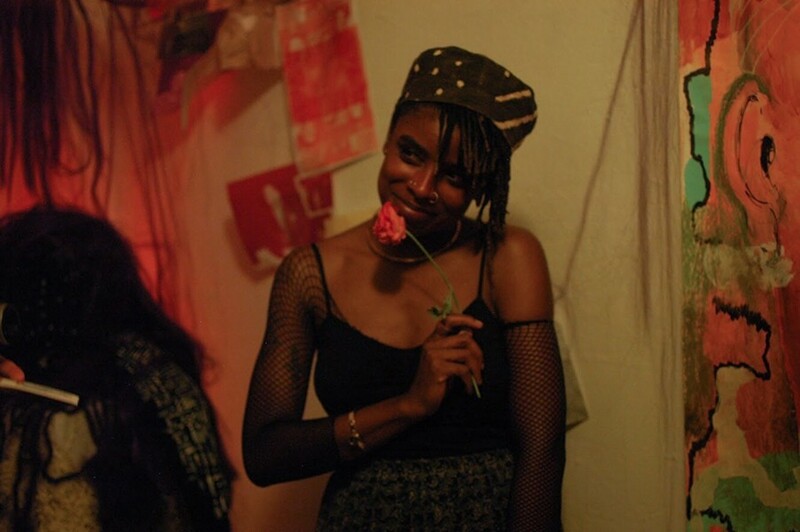 For the show’s closing night on July 24, E.M. Wolfman will house a screening hosted by The Black Aesthetic followed by a conversation on the artistic process between Fair and The Black Aesthetic’s soon to be Writer-in-Residence, Zoé Samudzi. Monday, July 24th, 7pm-10pm, free, 410 13th St, Oakland, WolfmanHomeRepair.com.